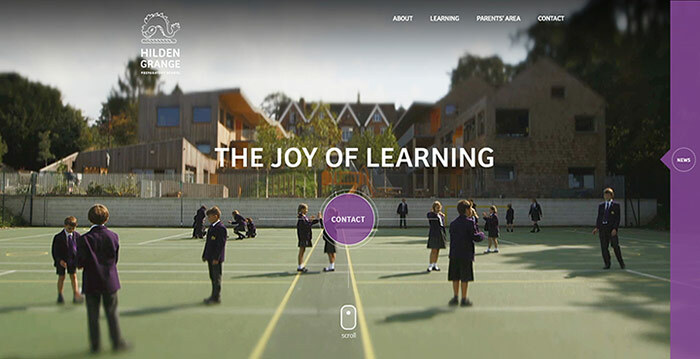 We’d previously created the website for Hilden Grange School in 2012 but when they asked us to transform the existing website into a flagship website for the school we were more than happy to help. 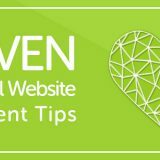 There are a number of eye catching features in their website design. The first thing you notice is the full screen background video which really sets the scene. To the right is what we call our “social media wall” and clicking the news icon slides out a panel containing their latest Twitter and Facebook posts. The website is of a long “paneled” type design which is a new emerging style of website design, allowing the home page to contain a large amount of information without becoming cramped or overwhelming. 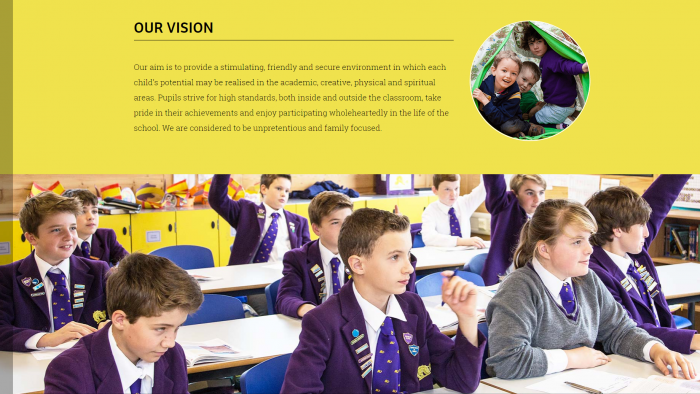 The panels as you scroll down highlight key aspects of the school to prospective parents such as the welcome, vision, Ofsted quotes, curriculum areas and academic performance. Each panel flows to the next with carefully chosen feature images. 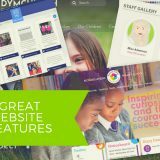 When Meadow Primary decided to become an Academy over the summer one of the things they wished to do was create a new website. We were provided with an existing illustration which we were able to reconstruct and use as a feature in the website header area. Inspired by their like of pastel colours, we created an attractive colour palette for the design. 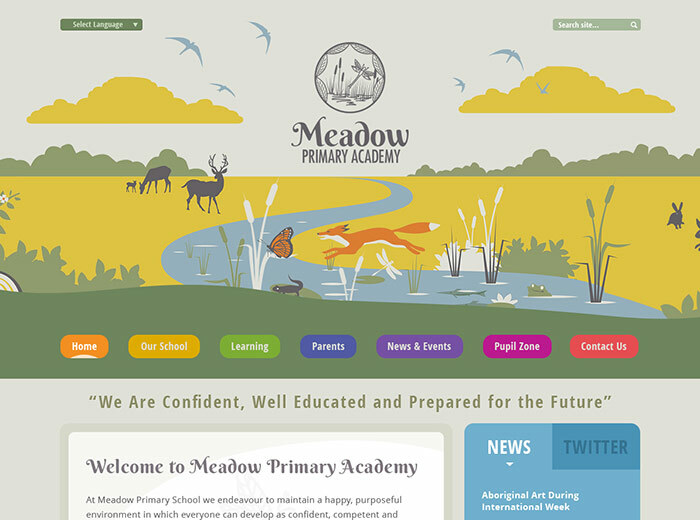 During the briefing discussion we were able to agree the most important items to include in the home page and for Meadow Academy this included a feature panel for their values. Also of note is their integrated Twitter feed and prominent button links for their newsletters and payments system. 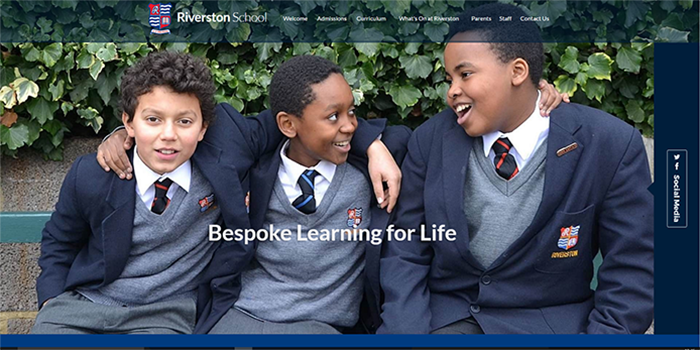 We were asked by Riverston School to redesign their existing website and refresh it with a website design which is sleek and modern. Riverston liked the up and coming trend of paneled designs and we came up with a unique take on it. 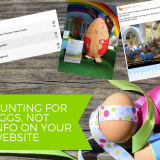 As you enter the website the first thing you will notice is a full screen background image gallery with the social media wall on the right hand side that provides the latest Twitter & Facebook posts by the school. 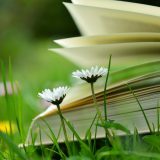 As you scroll down through the panels you will noticed fixed background images that divide the content which provide an intriguing transition between the sections. 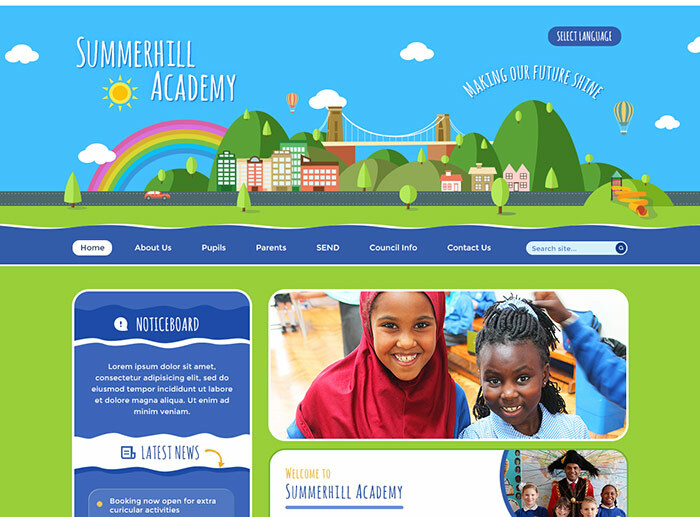 When Summerhill Academy asked us to design a new website they wanted an illustrative style which represented local features in the Bristol area. Looking at the header design we see a brightly animated illustration with the Clifton Suspension Bridge featuring as the main landmark with clouds, cars and hot air balloons gently animated. We also illustrated their play slide which features in the grounds of the Academy. The overall look of the website design provides a bright, clean and child friendly feel. Other features of note are the Google Translate option, the editable Noticeboard and the Twitter panel which shows the Academy’s latest tweet. If you are patient enough, we also added something special if you wait exactly 7 minutes! 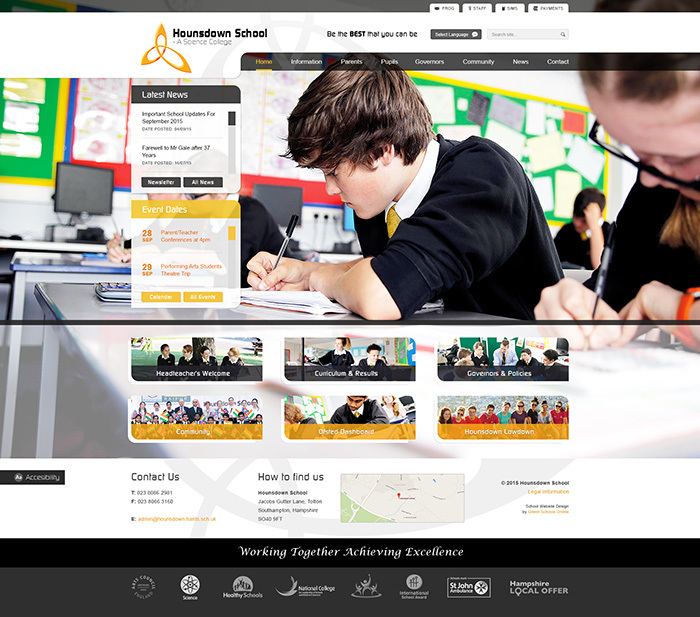 Hounsdown School is a large secondary school based in Southampton. 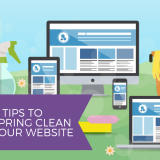 They approached us with a brief for a cleanly designed website that is easy to navigate. 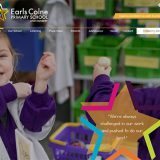 This in an eye catching website design with a full screen image background gallery adding interest to every page. 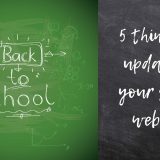 A useful feature is the super-menu at the very top of the header that provides easily accessible links to systems commonly used by parents, staff and pupils. 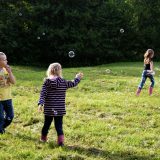 The clean home page features a series of photo button quick links which highlight and provide quick access to key information providing a focused and smooth visitor experience. 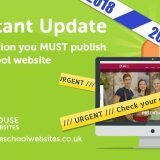 Update the School Website? 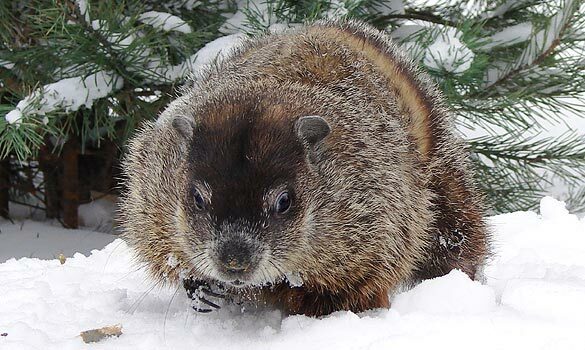 Snow Way!